Angioplasty is an endovascular interventional cardiac procedure to open the blocked blood vessels and arteries especially coronary arteries of the heart and restores normal blood flow to the heart muscle. In some cases, it may be carried out as an emergency treatment. 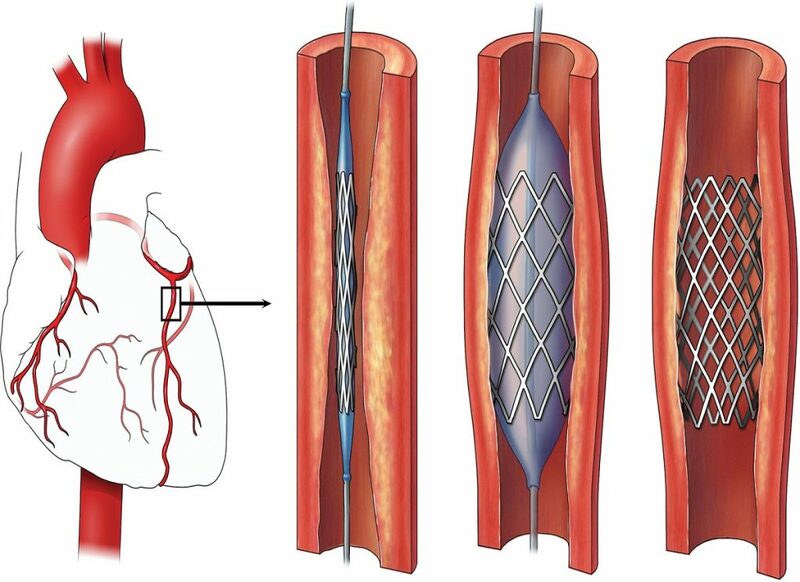 Drug-coated stentsare specially-treated stents that gradually release a special medication into the wall of the artery after they have been put into place and inflated. 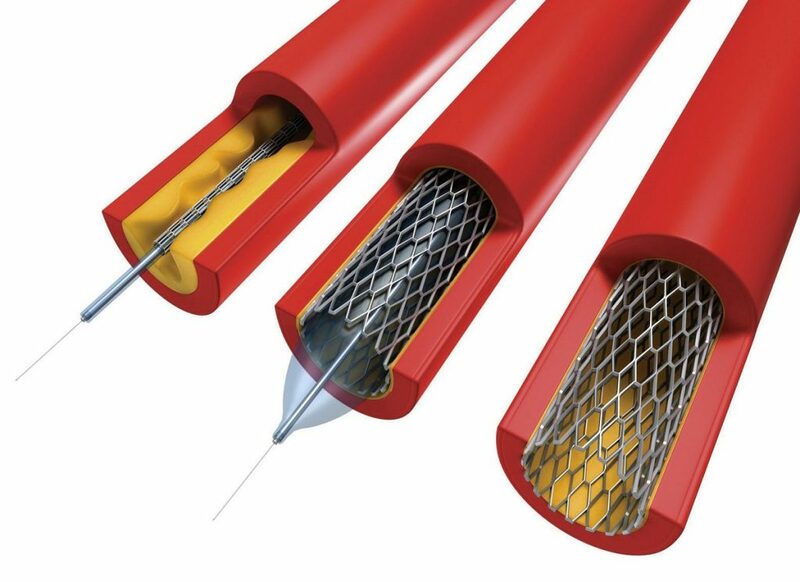 They reduce the risk of needing another procedure and are used for people who have a high risk of developing renarrowing of the artery after the initial procedure. These stents may increase the rare risk of clotting. Studies are ongoing to identify safety and outcomes of the use of these stents. Directional atherectomyinvolves using a miniature rotating blade to cut out the fatty deposit and remove it from the body. Excimer laser angioplastyuses a laser to remove the blockage in the artery. 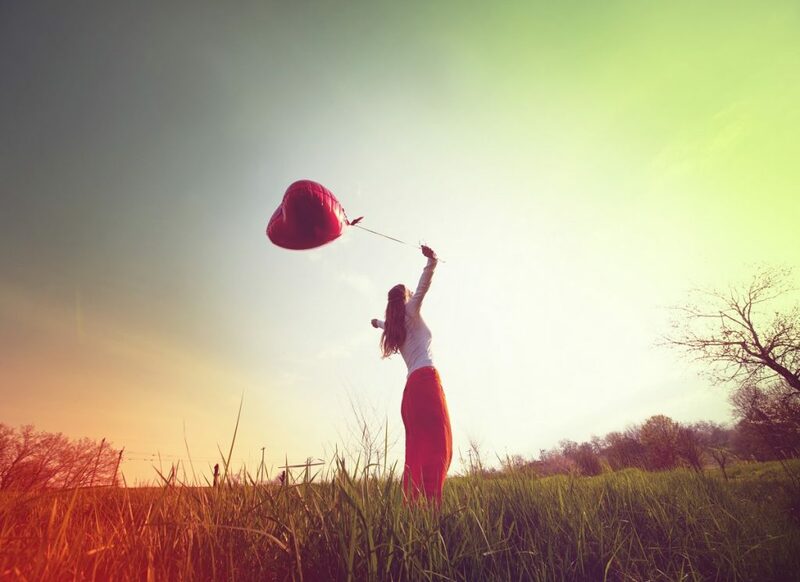 Usually, the balloon is used to help make the space through the blockage larger. Intracoronary radiationinvolves irradiation of the section of artery after balloon angioplasty. Studies show this experimental technique reduces renarrowing in your artery by 70%. Is angioplasty is sufficient procedure for the treatment of Coronary artery diseases. A coronary angioplasty help to open the blocked arteries of the heart, but it will not cure coronary arteries diseases. Coronary arteries may narrow again at or near the site of angioplasty in some people. Patient has needed to modify the lifestyle factors that can enhance the coronary arteries diseases, such as smoking, an irregular diet, hypertension, diabetes etc. Patient should take care of his/her health with the help of regular exercise and yoga. In addition this is essential for patient to take medications for heart diseases for rest of the life. What is a coronary arteries disease? Coronary arteries disease is a narrowing of arteries in the heart. This narrowing is also known as stenosis. Usually this problem initiates by the formation of fat or plague (calcium blockage). This plague can easily build to the blockage of arteries. If anyone have blockage inside and nearby coronary arteries, they can’t supply enough oxygen-rich blood to the heart especially when it’s beating hard, such as during exercise. Chest pain (angina).People may feel pressure or tightness in chest. This pain, referred to as angina, usually occurs on the middle or left side of the chest. Angina is generally triggered by physical or emotional stress. The pain usually goes away within minutes after stopping the stressful activity. In some people, especially women, this pain may be fleeting or sharp and felt in the neck, arm or back. Shortness of breath.If people heart can’t pump enough blood according to body’s needs, people may develop shortness of breath or extreme fatigue with exertion. Heart attack.A completely blocked coronary artery may cause a heart attack. 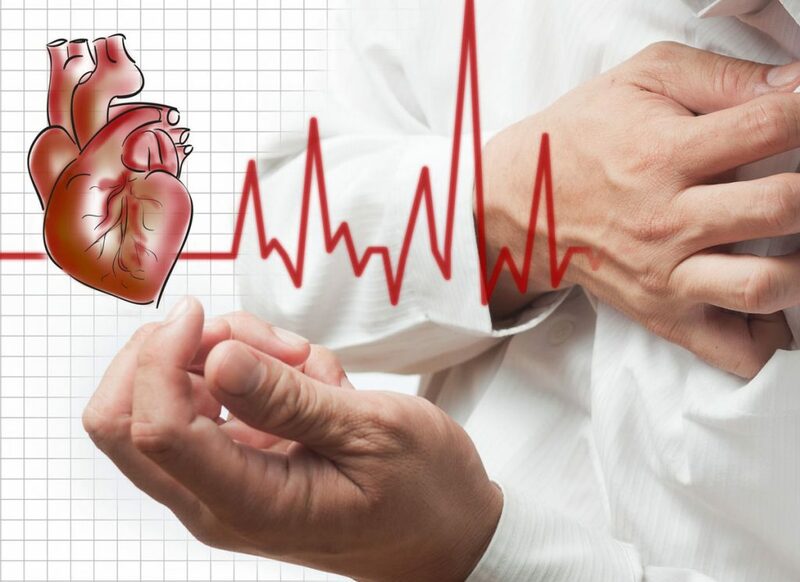 The classic signs and symptoms of a heart attack include crushing pressure in and nearby chest and pain in shoulder or arm of the people, sometimes with shortness of breath and sweating. Unhealthy blood cholesterol levels– This includes high LDL cholesterol (sometimes called “bad” cholesterol) and low HDL cholesterol (sometimes called “good” cholesterol). Smoking– Smoking can damage and tighten blood vessels, lead to unhealthy cholesterol levels, and raise blood pressure. Smoking also can limit how much oxygen reaches the body’s tissues. Insulin resistance- This condition occurs if the body can’t use its own insulin properly. Insulin is a hormone that helps move blood sugar into cells where it’s used for energy. Insulin resistance may lead to diabetes. Diabetes– With this disease, the body’s blood sugar level is too high because the body doesn’t make enough insulin or doesn’t use its insulin properly. Overweight or obesity– The terms “overweight” and “obesity” refer to body weight that’s greater than what is considered healthy for a certain height. Metabolic syndrome– Metabolic syndrome is the name for a group of risk factors that raises risk for CHD and other health problems, such as diabetes and stroke. Lack of physical activity– Being physically inactive can worsen other risk factors for CHD, such as unhealthy blood cholesterol levels, high blood pressure, diabetes, and overweight or obesity. Unhealthy diet- An unhealthy diet can raise your risk for CHD. Foods that are high in saturated and unsaturated fats, cholesterol, sodium, and sugar can worsen other risk factors for CHD. Older age- Genetic or lifestyle factors cause plaque to build up arteries blockage. In men, the risk for coronary heart disease increases starting at age 45. In women, the risk for coronary heart disease increases starting at age 55. A family history of early coronary heart disease is a risk factor for developing coronary heart disease, specifically if a father or brother is diagnosed before age 55, or a mother or sister is diagnosed before age 65. Although older age and a family history of early heart disease are risk factors. Controlling other risk factors often can lessen genetic influences and help prevent CHD, even in older adults. Medication– Nitroglycerine may be given to relieve chest discomfort due to coronary blockage. Some other medicine (aspirin, beta-blockers) are used to thin patient’s blood. Angioplasty– Surgical process is used to remove the blockage of arteries. Coronary Artery Stenting– Surgical process is used to widen the coronary arteries.